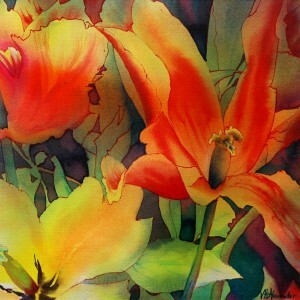 Valerie trained at the Fine Art Dept., King’s University, Newcastle on Tyne and at Birmingham College of Art. During her studies her work attracted a series of awards at both local and national level. In her final student year she entered her first international competition and was awarded both first and second prize, which enabled her to study Art and Design in Italy on a Travelling Scholarship. 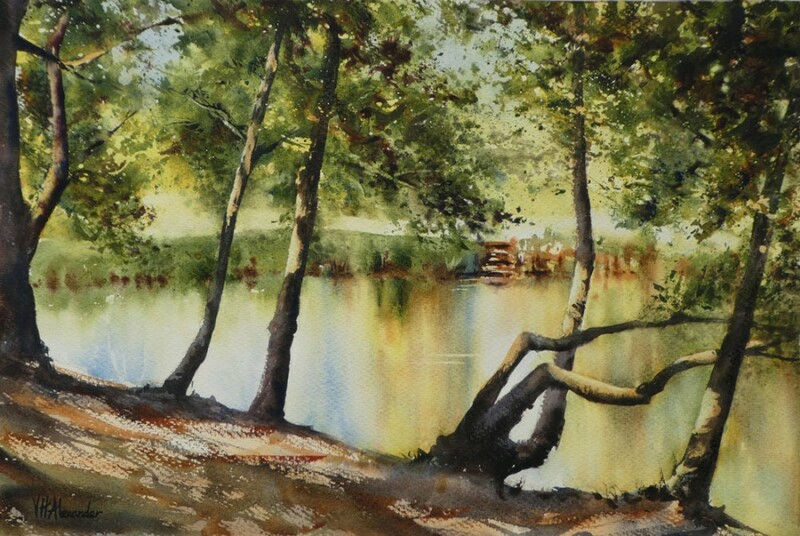 After some years working as a free-lance artist, she took up a full-time career in Art Education, teaching and lecturing in Secondary and Further Education posts in Buckinghamshire and then in Shropshire. 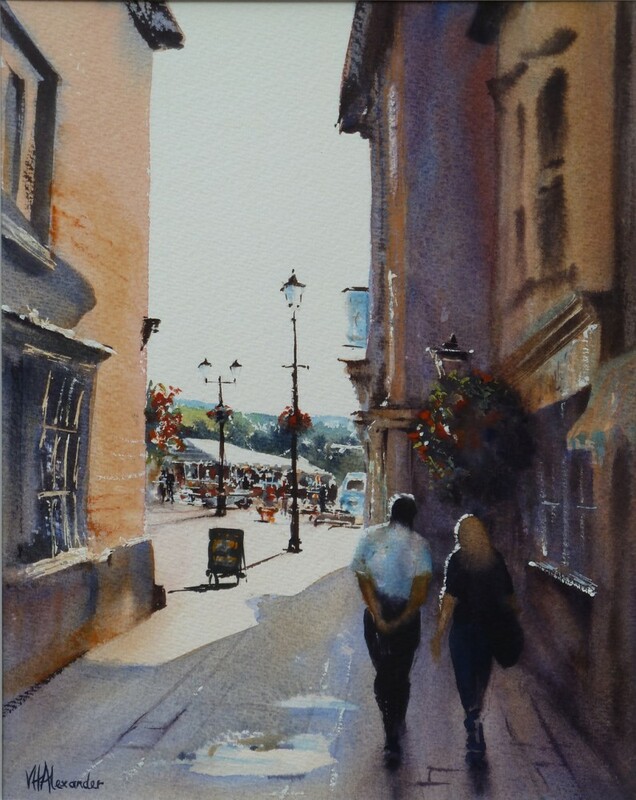 During this period she continued to paint and to sell water-colours in her spare time, and to take on freelance design commissions; for twelve years, until 1989, she was also Publicity Designer for Ludlow Festival. 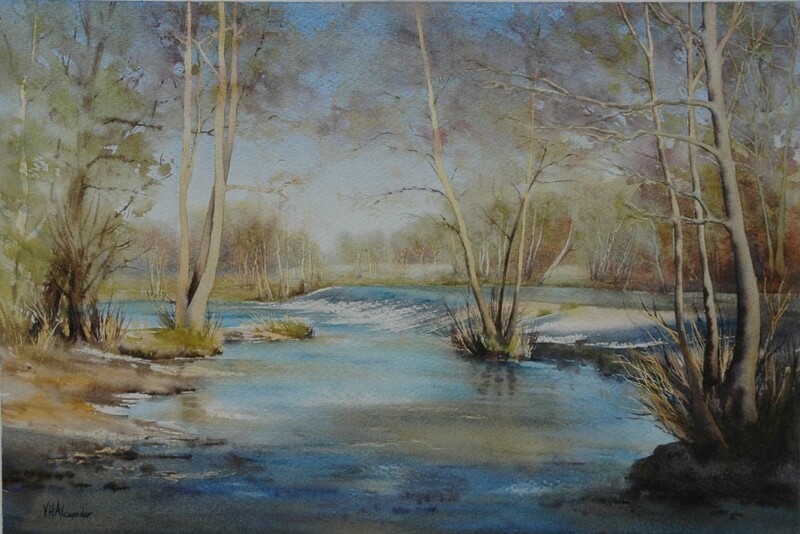 In 1995 she took early retirement from her post as Head of Art in a Shropshire comprehensive school in order to concentrate fully on her own painting. 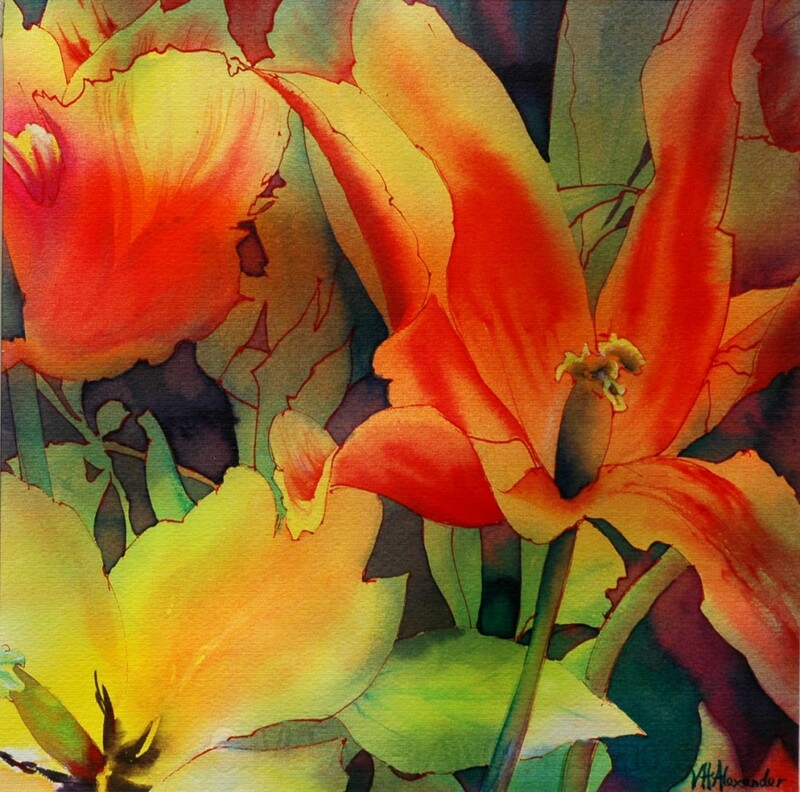 She works mostly in water-colour, sometimes in pastel, to paint her own individual interpretation of the natural world, whether it be in the form of a landscape, or a floral composition. “It is the light falling on a subject that transforms it, and it is the fascination of trying to capture and convey the effects of light that is the stimulus and mainspring of my work “. 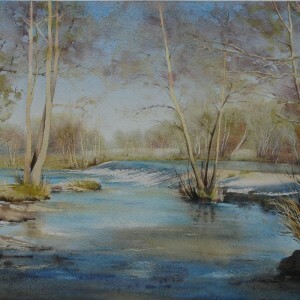 She has twice received a ‘Highly Commended’ in the professional section of the national painting competition run annually by The Patchings Art Centre, and her work has been put on their website.She received international publicity when she was a Finalist in a competition run by the ‘International Artist’ magazine. 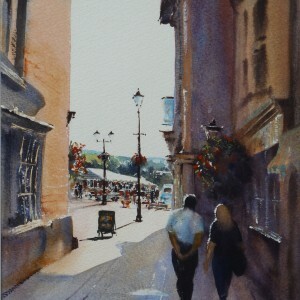 As a result of this she was invited to contribute to the book ;“How did you Paint That? 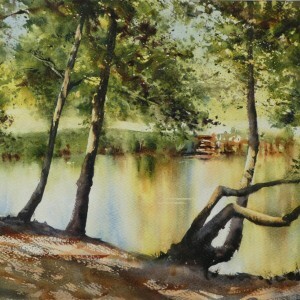 100 Ways to Paint Landscapes”, published by International Artist magazine.